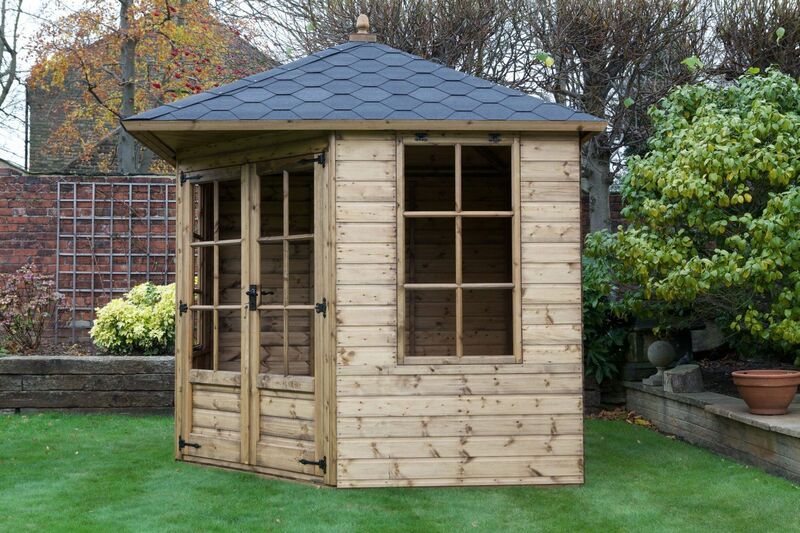 The Pitched Cornerhouse has the same specification as the Corner house but features a fabulous pitched roof. 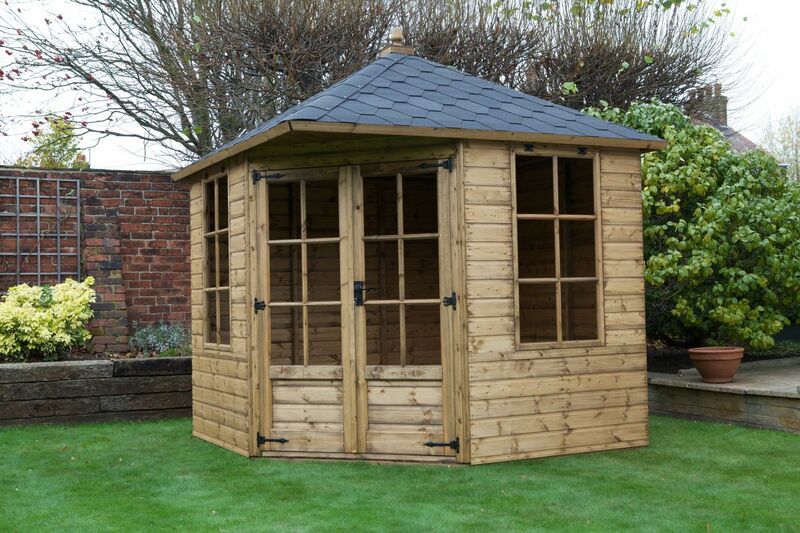 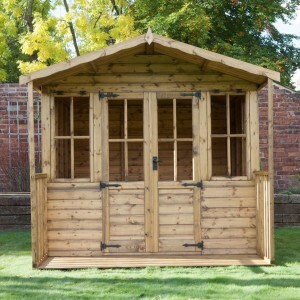 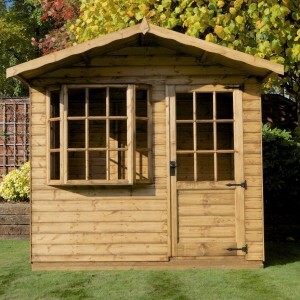 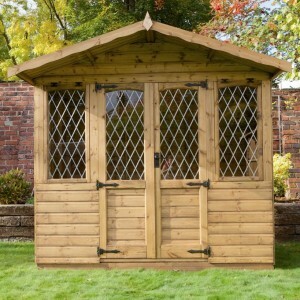 In the 6’x6’ model the doors and windows are the same as the Brecon. 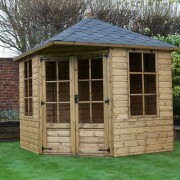 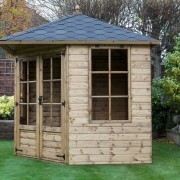 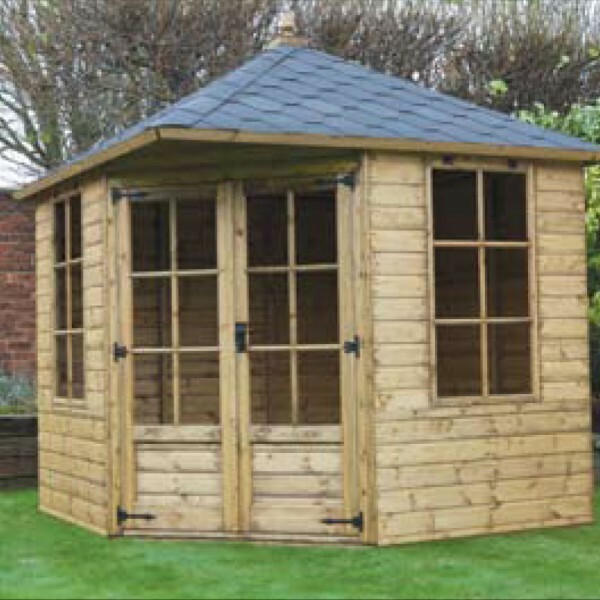 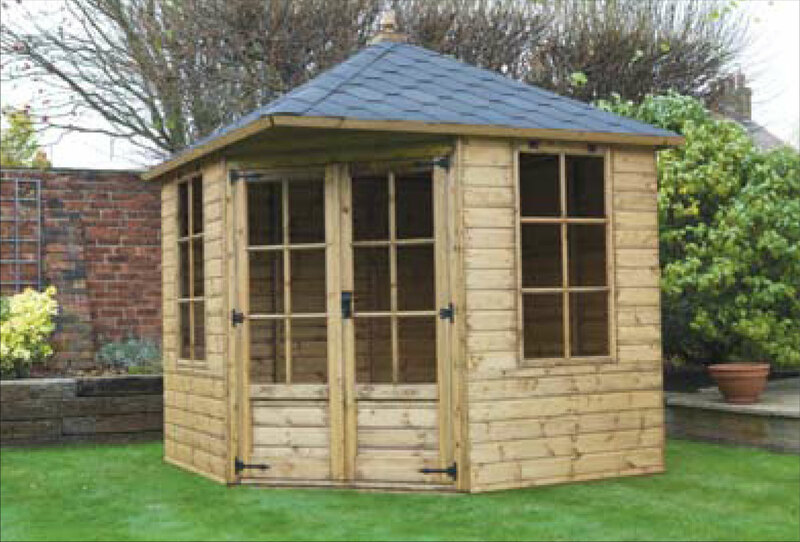 The shingle roof shown on the photo is available as an extra.